Quite often, folk miss out on mainstream entertainment and outings because of challenges such as accessibility and sensory sensitivities. Stage musicals are a typical example. The bright lights and loud sounds of big productions can be too overwhelming for many to enjoy. Unless of course something special is organised. Like the autism-friendly performance of Aladdin the Musical coming up at Her Majesty’s Theatre in Melbourne on Saturday August 12th. The blockbuster which has entertained over 3 million people worldwide since opening on Broadway in 2015 follows the adventures of Aladdin with his magic carpet, lamp and genie. “Many members of the autism community love the movie Aladdin and are excited to see the live production,” says Dierdre Hardy of Amaze, Victoria’s peak advocacy body for people with autism, which Disney has partnered with on the production. 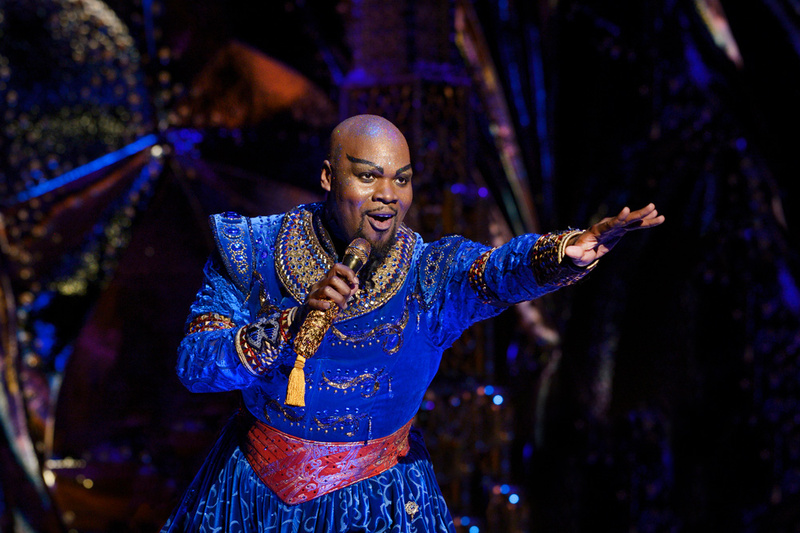 Aladdin is one of the biggest musicals to be staged in Melbourne – and probably one of the most exotic – boasting over 300 costumes using over 500,000 Swarovski crystals. “It’s a world class production with a fantastic cast: an exotic setting, great songs and a love story. What’s not to love?, “Hardy said. As people on the autism spectrum can be hyper sensitive to light and sounds, adjustments to the production will include removal of strobe lighting and some other features. But the show will remain full of energy according to Hardy. The ‘social scripts’ are booklets which explain how the performances will deliver the story as well as provide advice on what to do when there’s applause. The audience will also be allowed to leave the theatre for breaks whenever they want to. Raising awareness among the performers, stage crew and theatre staff about autism has been important for Disney and Amaze. All signs are that Disney won’t stop its special presentations with this production.